Grégoire Scalabre is a French ceramist and contemporary sculptor. His artistic world is broadly inspired by architecture and industry, by architectural heritage of French monuments and by statuary art. As an atypical figure in the current art scene, Grégoire Scalabre continually widens the limits of ceramics. The artist challenges the material towards a constantly renewed repertoire of shapes : from scattering and accumulation to dynamism and monumentality, including architecture and metallurgy. With his latest creations« Endless Movement », the ceramist applies his know-how to a both architectural and bodily vocabulary. Meticulous throwing, slab building, modeling and assemblage create a set of broken lines and open curves. Minerality gets the final touch, thanks to an innovative technique of marble-powder covering. Grégoire Scalabre lives and works in Paris. He is reprensented in Paris by Nec Nilsson & Chilien Gallery. 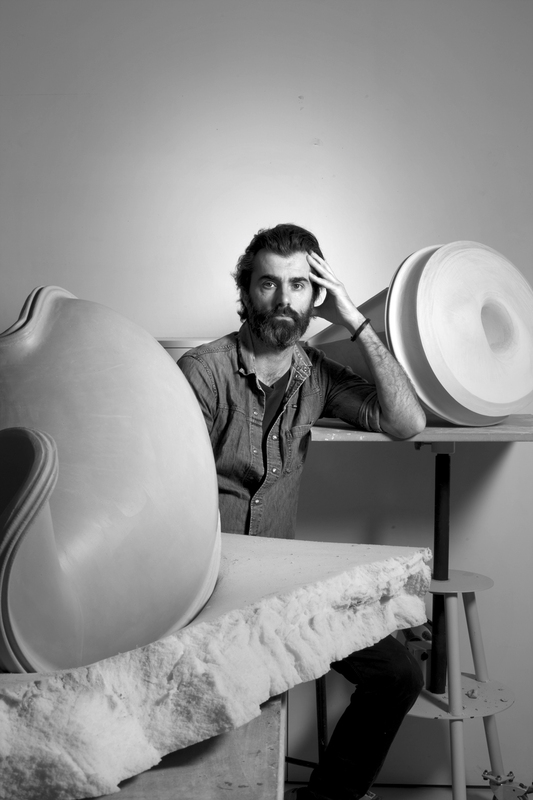 With his sculptures, Grégoire Scalabre is one of the greatest ceramists who contribute to the revival of contemporary ceramics that some consider close to the plastic arts and design. 2013 Révélations – Grand Palais, Paris.